I work with people of various ages, socioeconomic, religious, and cultural backgrounds. I have experience with adolescents and adults presenting with a range of concerns including depression, anxiety, bipolar disorder, addiction, trauma, self-harm, and psychotic disorders; as well as life transitions, relationship struggles, and family conflict. I understand and can support LGBTQIA individuals who are coming out, exploring sexuality, and/or transitioning genders. I take into account the many roles and identities you may hold and the intersectional relationship of your identities. Anaïs Nin said, “Life is a process of becoming.” I encourage my clients to create a life they are proud of. I believe that the relationship between a therapist and client is a powerful tool for change. It is a partnership in which I guide my clients to understand who they are, what they are feeling and thinking, and how those experiences impact their daily life. Therapy is an opportunity to explore what is true and essential for you. You are the expert in your life; it is up to you to discover the areas of your life you want to change. My job as a therapist is to guide you toward creating that change, and to journey with you to find the success you deserve. In this endeavor, I strive to be open, authentic, and thoughtfully engaged with you. Your experience in the moment and the strengths you bring to the challenges you face are important. I strive to create a relationship with clients that is creative and collaborative, empathic and non-judgmental — where you will feel heard, validated, and understood. I focus on helping individuals develop self-compassion, skills to regulate emotions and tolerate distress, and positive coping mechanisms. I incorporate trauma-informed, mindfulness, and cognitive-behavioral strategies to help foster self-awareness, recognize problematic patterns, and build confidence to tackle beliefs and habits that may be holding them back. I hope to help you develop a deeper understanding of the self, a greater sense of self-worth, and the ability to manage life proactively and positively. Please feel free to call or e-mail me with any questions about my therapeutic approach. I look forward to speaking with you. 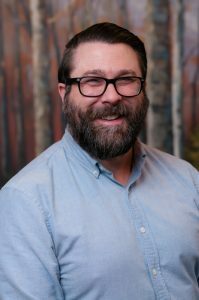 Andrew Zapke, LCSW is a licensed clinical social worker, with a Masters in Social Work from Loyola University Chicago. At Chicago Lakeshore Hospital, Andrew provides individual and group therapy to children and adolescents drawn from communities throughout Illinois and Northern Indiana. Andrew received extensive training working with addiction while at Presence Behavioral Health.